"Why bother to honor the street date? Ask the cool cats at the Fort Myers, Florida Best Buy, who has no qualms selling our tipster a unit over the weekend. At the time, no 32GB versions were available, and even now, this 16GB unit won't sync with one's PC or do much of anything useful." 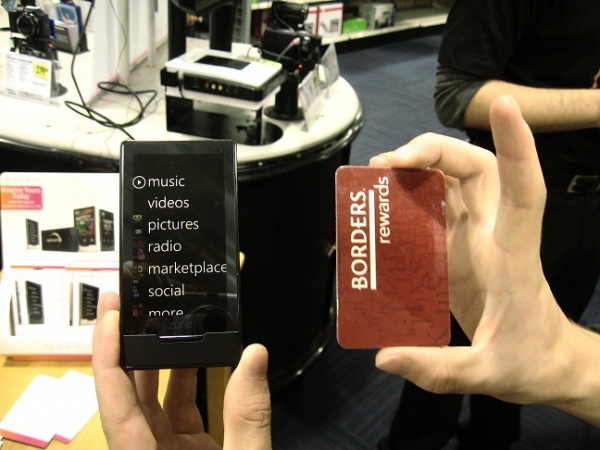 So a guy got lucky and bought a Zune HD this weekend. Too bad it's just a pretty paperweight until Microsoft decides to flip the switch tomorrow to enable the new software and firmware. Who's getting one of these shiny new toys tomorrow?